Renee Peterson worked at large newspapers since 1998 as a copy editor. She is now freelancing as an editor and writer. Peterson's writing has appeared in the NCAA News and Business Today. Peterson has a Master of Arts degree in journalism and a Bachelor of Arts degree in English from the University of Kansas. 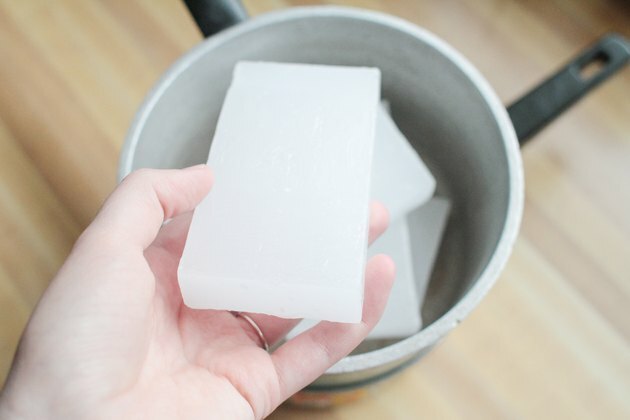 When paraffin wax melts, its soft consistency allows it to, in effect, fit your hand like a glove as you dip into it. And because paraffin can hang onto a lot of heat, it can then transfer this heat onto your hand and into aching joints and muscles, which results in increased blood flow. This effective heat transfer process is why paraffin wax treatments are considered helpful in reducing the pain and stiffness from osteoarthritis, injuries and inflammation. 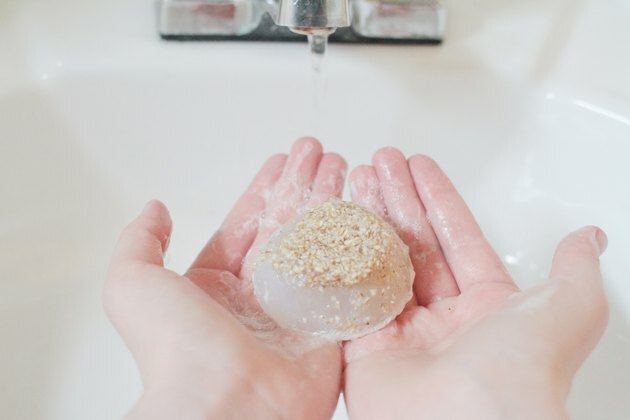 When you have a paraffin wax hand treatment, whether it's to soften your skin or to treat aching and stiff joints, enveloping your hand in a plastic bag and a towel help retain the heat longer. 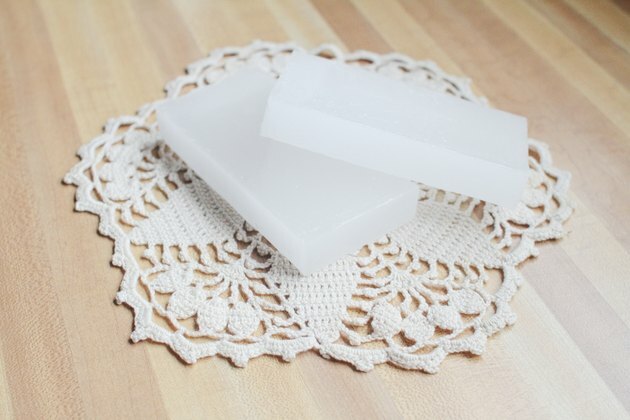 Wash your hands well with soap. Rinse and dry them completely with a lint-free towel. 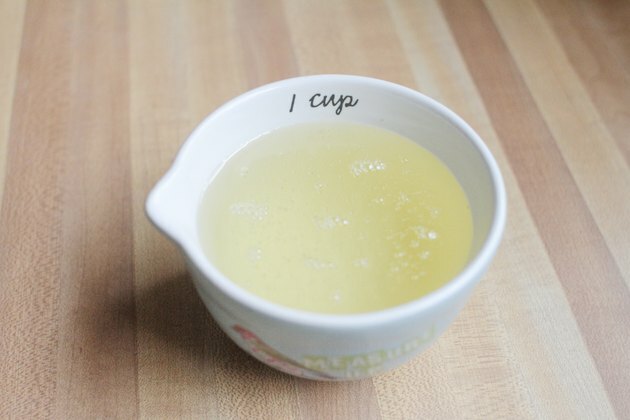 Place 4 pounds of food-grade paraffin into the top of a double boiler. 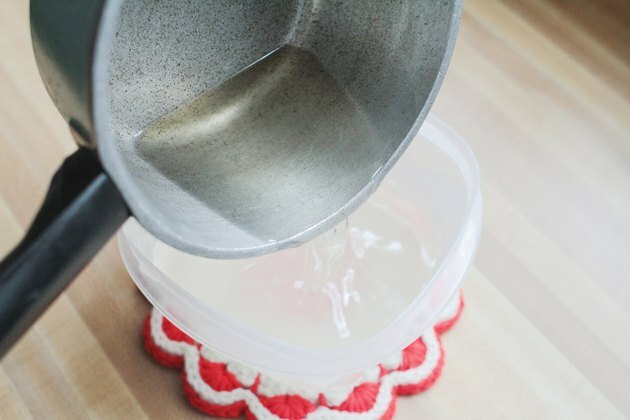 Fill the bottom of a double boiler ¾ full with water. If you want the added benefit of aromatherapy, add 12 to 15 drops of essential oil to wax. Place the boiler on the stove over low to medium heat. Add in one cup of mineral oil to the top of the boiler. Remove the boiler from the stove when the wax is completely melted. Pour the wax into the greased plastic container. 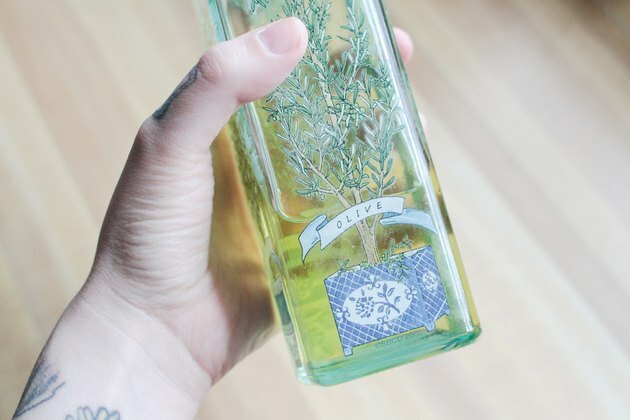 Massage a few drops of olive oil into your hand, making sure to get it between your fingers. 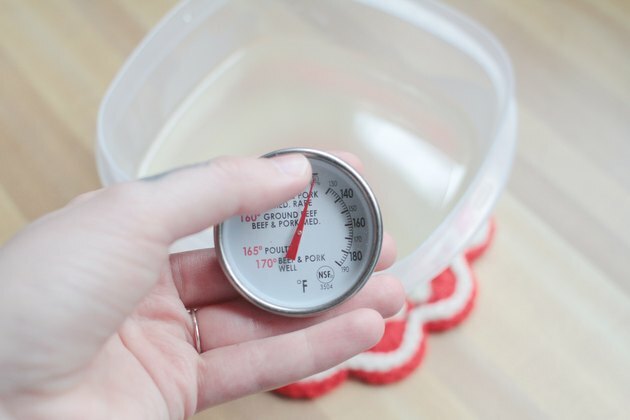 Test the temperature of the wax when a thin skin has formed on the top. 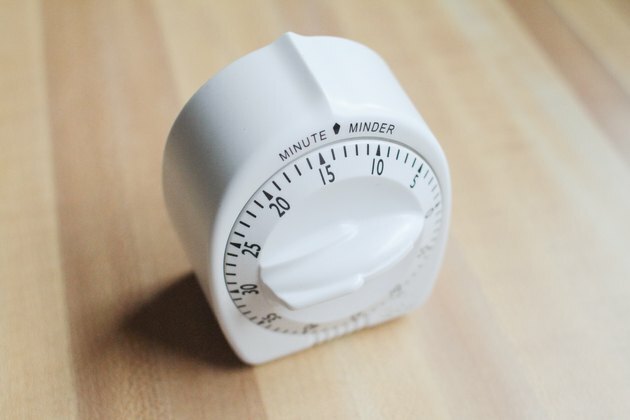 Use a thermometer to check the temperature. When it reads 125 degrees Fahrenheit, proceed to the next step. 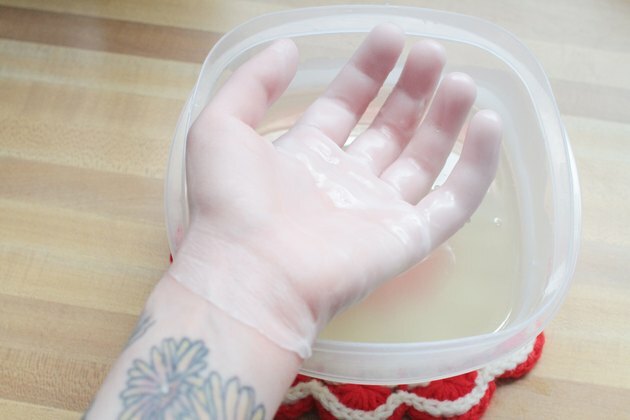 Dip your hand into the paraffin wax, being careful to lower your hand as far as needed to cover your entire hand. 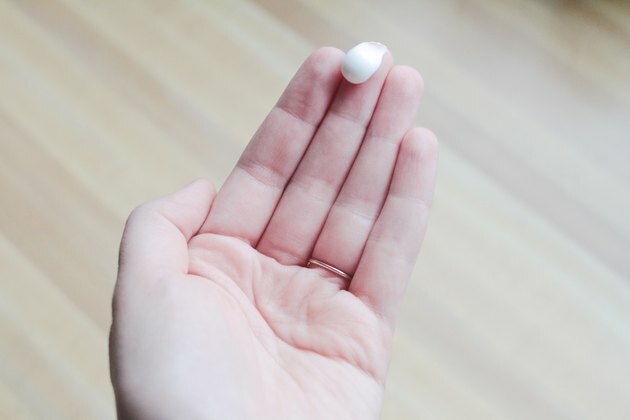 Lift your hand out of the wax after a few seconds, when a layer has formed. When the shine has faded, which means the wax is dry, dip your hand in again. Continue dipping your hand into the wax, accumulating several layers (five to seven). 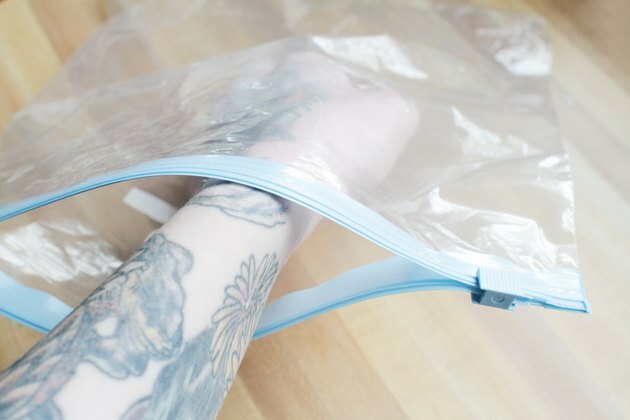 Remove your hand from the wax when you’ve built up several layers, and insert it into large plastic baggies. 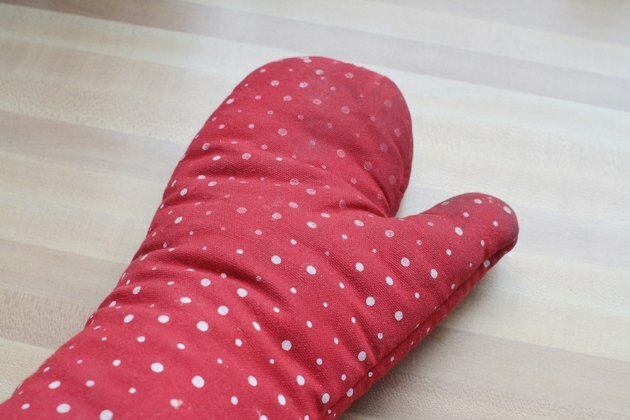 Cover your hand in a thick towel or insert it into an insulated mitt. Wait 10 to 15 minutes, then remove your hand from the mitt or towel. 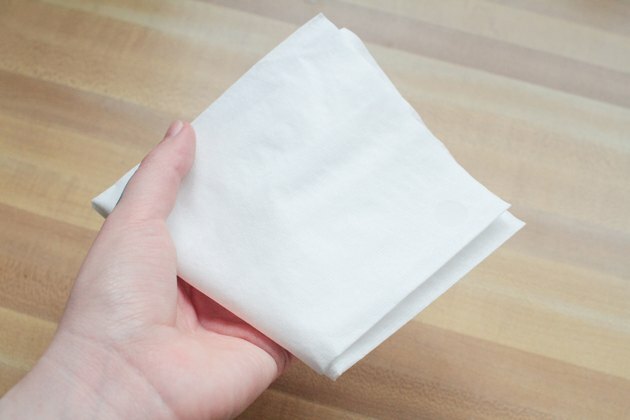 Remove the plastic bag, and then remove the wax from your hand with a soft tissue. Rub moisturizer into your hand. Treat your other hand, if desired. Transfer wax back to the double boiler to warm up, and repeat steps. If you have nail polish on, be sure to remove it before applying paraffin treatment. When dipping hands, be sure to dip them to the same level each time. What Are the Benefits of a Paraffin Hand Spa?